Blurb: One has been famous longer than anyone on the planet – a wily stateswoman and an enduring symbol of grace, power, and a bygone age. One is the great-granddaughter of a king’s mistress and a celebrated home wrecker who survived a firestorm of scorn to marry her lover and replace her archival, a beloved twentieth-century figure. One is a beautiful commoner, the university-educated daughter of a self-made entrepreneur, a fashion idol, wife of one future king and mother of another. Master biographer Christopher Andersen takes readers behind palace walls to examine the surprising similarities and stark differences among three remarkable women – Queen Elizabeth; Camilla, Duchess of Cornwall; and Princess Kate. Andersen reveals what transpires within the royal family away from the public’s prying eyes; how the women actually feel about each other; how they differ as lovers, wives, and mothers; and how they are reshaping the landscape of the monarchy in this addictive read that will shock even those who are spellbound by the royal palace. Review: When I first saw this book I was so excited and quickly placed it on my Paperbackswap wishlist. I was amazed at how quickly I snagged a copy! So when it arrived I jumped at the opportunity to start it immediately. And I will say it was an easy read. But there were some things that I didn’t really like about it. I hated the way that Mr. Andersen portrayed Kate Middleton and her family. He made her look like she was planning from an early age to marry into the royal family. And I’m sure growing up over in England it was a common dream of all the young that they would grow up to marry Prince William (or Harry) – I remember being a teenage girl and having a rather large crush on Prince Harry. But when Mr. Andersen finally brought Kate Middleton into the book, he portrayed her and her mother in what I would consider a very negative light. He made her mother look like she just pushed her daughter toward William while scheming in the background in order to snag the future king. Now it may have indeed happened that way, but I prefer to look at Kate in a more positive light and can’t imagine her really scheming that hard just to become a royal. But what do I know? I also didn’t like how it seemed he sneered at Carole Middleton being a flight attendant turned business owner – what’s so wrong with a woman being a flight attendant or a business owner? I just really didn’t like how he portrayed the whole Middleton family. I got the distinct feeling that Mr. Andersen really doesn’t like the royal family. And I thought that was weird, because I have read numerous other books he has written on the royal family, and I don’t ever remember getting that feeling before. But I will say it was a little gossipy in places. Some parts of it just left a bad taste in my mouth. So while it wasn’t necessarily a terrible book, you could probably find all this information in the gossip magazines. Just an “eh” book for me – and that leaves me a little disappointed since I’ve always enjoyed Mr. Andersen’s books before. Blurb: Eleven-year-olds Nora and Charlotte were best friends. When their teenage babysitter, Rose, disappeared under mysterious circumstances, the girls decided to “investigate.” But their search – aided by paranormal theories and techniques gleaned from old Time-Life books – went nowhere. Years later, Nora, now in her late twenties, is drawn back to her old neighborhood – and to her estranged friend – when Rose’s remains are finally discovered. Upset over their earlier failure to solve the possible murder, Charlotte is adamant that they join forces and try again. But Nora was the last known person to see Rose alive, and she’s not ready to revisit her troubled adolescence and the events surrounding the disappearance – or face the disturbing secrets that are already beginning to reemerge. 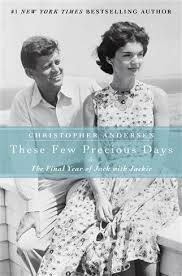 Review:I won a copy of this book back in 2011 from booktrib.com. And I proceeded to do as I always seem to do … let it sit and linger. I finally picked this one up because of a Goodreads challenge. Let me just start by telling you that me giving this book a 3 star rating is probably being a little bit on the generous side. You see, as the reader, I spent a good 300 pages with Nora and Charlotte on their quest to figure out the mystery of Rose’s disappearance. Through the “flashbacks”, I also suffered through their high school years. 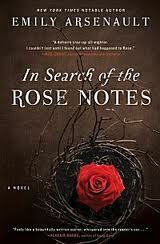 I spent those 300 pages practically dying to know what on earth had happened to Rose. And then when it was finally revealed, 45 pages after the first 300 pages, it was such a disappointment that I honestly wanted to throw the book across the room in disgust. It was just a complete and utter let down. To be completely honest with you, it wrecked the book in my opinion. There were all these indications throughout the book (to me, at least) that something sinister had gone down and it was up to me to figure out the who-dun-it. Oh no, nothing sinister at all happened in the end. And as a mystery lover, the disappointment was just palpable. Blurb: Henry Hayden seems like someone you could admire, or even like. A famous bestselling author with the air of a modest everyman. A loving, devoted husband even though he could have any woman he desires. A generous, compassionate friend. But Henry Hayden is a construction, a mask. His past is a secret, his methods more so. Only he and his wife know that she is the actual writer of the novels that made him famous. But when his hidden-in-plain-sight mistress becomes pregnant and his carefully constructed facade is about to crumble, his permanent solution becomes his most terrible mistake. 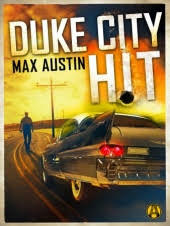 Now not only are the police after Henry, but his past – which he has painstakingly kept hidden – threatens to catch up with him. But Henry is an ingenious man, and he works out an ingenious plan, weaving lies, truths, and half-truths into a story that might help him survive. Still, the noose tightens. Smart, sardonic, and compulsively readable, this is the story of a man whose cunning allows him to evade the consequences of his every action, even when he’s standing on the edge of the abyss. 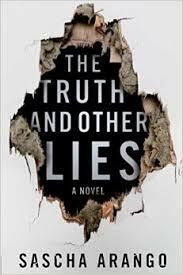 Review: I received a copy of this book for review after responding to an offer in a Goodreads group I belong to. All opinions expressed below are my own. Henry Hayden is one interesting character. He’s a best-selling author despite never having written a word in his life. Rather it’s his wife who is the author. And she’s a big part of this book, yet I didn’t really feel like I knew her at all. Of course, I also didn’t feel very connected to Henry either. There’s a lot that we as readers do not know about Mr. Hayden. He’s got a pretty shady childhood … yet we really aren’t given very many details beyond him ending up an orphan at a fairly young age. And the logic that he uses throughout the book … well, I just can’t grasp most of the decisions he made either. Although I will say he is definitely one sneaky dude. His wife might have been the bestselling author in the family, but he managed to come up with a pretty far-reaching story as to what happened to his wife and mistress. At one point early on in this book I couldn’t figure out if Henry was delusional and I was reading pretend dialogue, or if what was happening at ay given moment was really happening and not just a figment of his imagination. I have to say that I really struggled with this throughout the book and I think that’s what really impacted my final rating of this novel. This isn’t a very long book, only clocking in at 241 pages. And to be perfectly honest here, I felt like it could have been a tad bit longer just because there were some places that I felt lacking. I guess it was more because I felt as if there was no real ending. There’s a big “what happened?” at the end that I would have preferred to see resolved. I wanted to know what really happened to Betty. And I really would have liked to have known what happened to Henry’s mother all those years ago. Overall, this isn’t a bad book. It’s just a little bit different from what I’m used to reading. But it did keep my attention and kept me guessing throughout. Had there been a little more finality to it at the end and had I been able to connect more with the characters, I would have preferred it just a little bit more. But I would recommend it to mystery lovers. 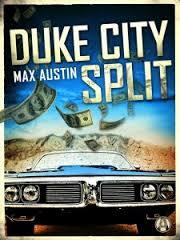 Blurb: Bud Knox isn’t your average bank robber. He’s happiest fixing a nice lunch for his wife on her lunch break or watching his two young daughters play soccer. He leaves the boldness and brawn to his partner, Mick Wyman. In the past fourteen years, they’ve hit nearly thirty banks all over the West—everywhere but “Duke City,” their hometown of Albuquerque, New Mexico. Review: I received a copy of this book for free via NetGalley for review purposes in conjunction with a TLC Book Tour, all opinions expressed below are my own. When I was first pitched this book I was a little unsure to be honest. There was something about the description that intrigued me, but I wasn’t 100% sold. But I have to tell you, I am so glad that I took the plunge and gave this book a shot. It ended up being one heck of a thrill ride! The concept behind this book … two bank robbers who had been successful for years? That is like so unheard of in real life! And the whole idea that they then proceed to go home and be normal, average, everyday guys?! Insane to consider, right?! So what on earth would make these guys not only take on a third partner but also hit a bank in their hometown? Millions, that’s what! Not that I could really blame them… ha! If you want a fun book this one will definitely fit the bill. But don’t expect too much out of it. There’s no thinking involved. The characters, while enjoyable, are not very complex. There are no curveballs thrown at you along the way. It’s just a plain jane fun book. I liked it. It works. And I’m dying to know what happens next! There’s a lot going on in this book. But I found myself actually wanting Bud and Mick to get away scot-free! And let me tell you, they did a lot of unsavory things throughout this book. But for some reason, I wanted them to succeed. Doesn’t make much sense, does it?! Another great book that I think will appeal to a lot of readers. I hope you give it a chance! Blurb: Laura Andersen brings us the first book in an enthralling trilogy set in the dramatic, turbulent, world-altering years of Tudor England. What if Anne did not miscarry her son in January 1536, but instead gave birth to a healthy royal boy? Perfect for fans of Philipa Gregory and Allison Weir. Review: Oh. My. Goodness. I almost don’t know where to start with this review. I can’t begin to tell you how much I truly enjoyed this book. And how much I hate that it’s a trilogy and I can’t hardly wait to get my hands on the second book. Personally I liked the premise of this book – what if? What if Anne Boleyn hadn’t miscarried? What if she had given birth to a healthy baby boy? That’s where this book really starts. Then it skips forward to when William is 17 and is about to become a “full” king – not having to have his councillors. While William would obviously be the main character, most of the book is written in Minuette’s perspective. As Elizabeth’s lady-in-waiting and a close childhood friend to both Elizabeth and William, she really has a nice place for herself within the court. But it’s really amazing to see just how things change when these childhood friends grow up and become young adults. Add into it the fact that royalty is involved, it really makes for some interesting ideas. Overall I found this book to be really good. But that’s not to say that it was perfect. There were a few issues that I had with it. First, I sometimes had a hard time keeping the characters straight. Not the main characters, but the ones who were William’s councillors. I guess that’s probably because they were secondary characters and popped in and out throughout the book. I’m not sure why I struggled with that. I also had a slight issue with how the transitions to different characters were done. Or I really should say, lack thereof. I felt like this was the weakest part of the book. The reader would be going along with Minuette’s character and then we would be immediately thrown into the battlefield with Dominic. I found it a little difficult to keep track of at times. However, it didn’t really make me like the book any less, but it was something that I noticed throughout the novel. I must warn you, dear readers – this book ends with one heck of a cliffhanger. I almost couldn’t believe it! I kept hitting the forward button on my Nook hoping that the book wouldn’t end how it did. It is what it is, but it will definitely leave you wanting more immediately!